but sir i don’t have access to the email address and I have lost the password what can i do? if you find your self like the person above that wrote that to me then this post is you. so many jamb candidates are facing this issue because in one way or the other they lost access to their mail of their jamb profile at this critical time when the exams is very close by. 1.2 Another persons email was used for me. “sir I can’t access the mail I used for Jamb profile portal” some are asking if it’s possible to Reprint their slip without having access to their email address. we believe knowing the root cause of a problem will give you clues on how to resolve them. invalid activity: are you signing in with an unknown device or from a device you have not used before, this will trigger the system to temporarily lock the account until you prove that it’s you. You can be asked to sing in from a system that you used in opening it or they might send you a code to your recovery email or phone number. wrong password : maybe you forgot your password or entered a wrong password doing this over and over again can lock your account. 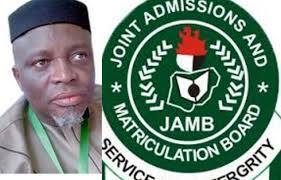 using an unavailable mail to register your Jamb :so many candidates fell for this, they used a wrong email address that are unavailable or belong to someone that they can’t reach out to again. you wanted to make use of musatunde@gmail.com but was was entered was musatundet@gmail.com. there are two options you have here, one is to create an email account of musatundet@gmail.com and request jamb to send you the details there. Another persons email was used for me. in some cases the email address might have been registered by another person before you, another option involves you contacting the person ( the person that owns that email address,L) by mailing that same email, be polite with that person, if possible offer to give him something in return just for him to forward you the details jamb sent to him. My Gmail has been disabled due to invalid activity: I normally advise candidates to always verify their email address once they create it as they will help them in future should in case they are locked out. it’s no crime to forget your email password, I have forgotten mine on countless occasions. what i usually do is just to click on “RESET/FORGOT PASSWORDS ” enter the recovery email or phone number, a link will be sent there that will help me to change the old password. while trying to login they tell you your details are invalid or your password or email address is not correct. it simply means that you have entered the wrong details, calm down and carefully go through the details you have supplied before. have forgotten my E-mail password and I have lost the sim I used.